Hi, my name is Jonas. I am a very handsome and sweet dog. 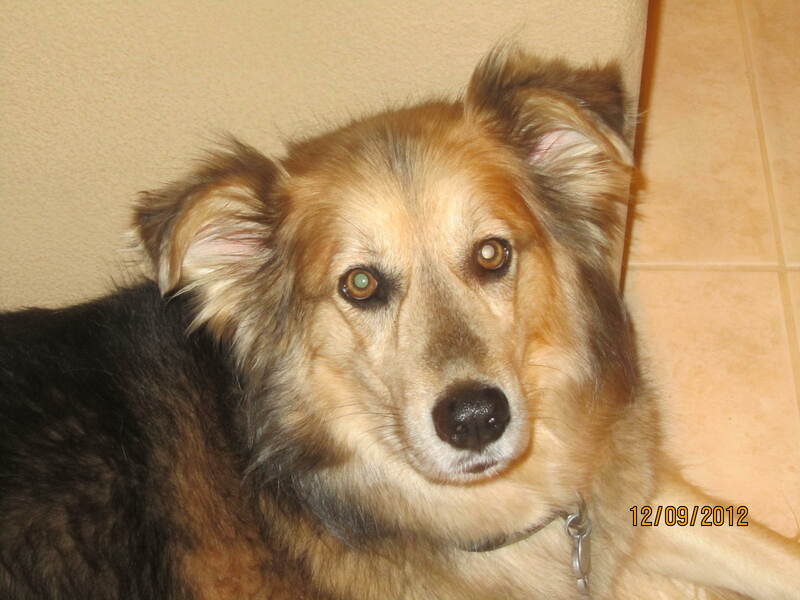 My owner found me at a rescue center in September 2008 when I was just one and a half years old, and immediately knew I was meant to be a part of her family. 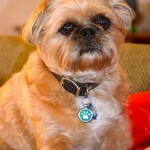 I have been a therapy dog since October 2009. I love to meet new people of any age, especially if I get loved on and scratched behind my ears. Maybe we can be friends too? 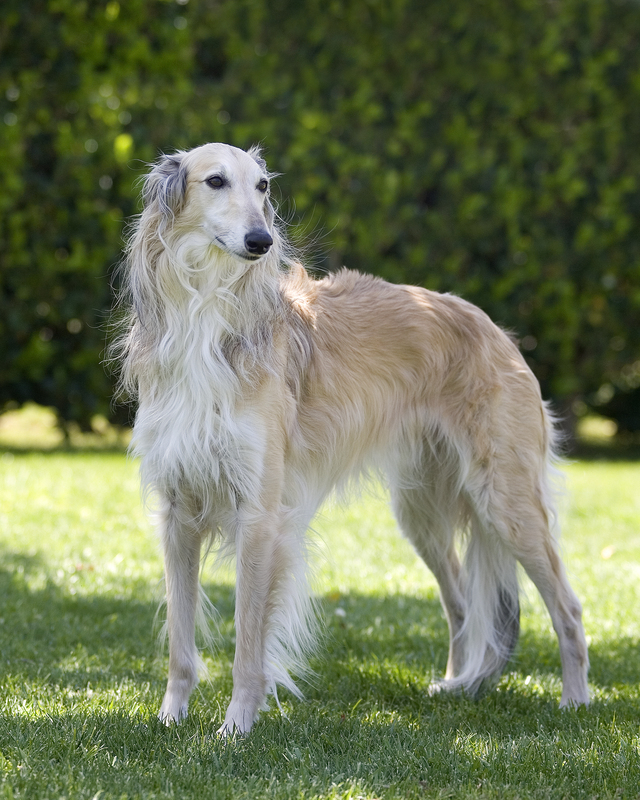 Silkens are the first American Sighthound and still quite rare (1300 in t he world). Dior is long-legged, slender and built for speed. Dior thinks he is a lapdog and has never met anyone (person or animal) that he doesn’t like. He loves to be with people. 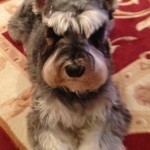 He has earned conformation titles in 4 different kennel clubs and Best in Show. 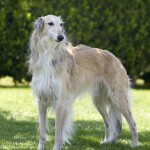 He is also the Lifetime Champion Silken Windhound in the sport of lure coursing. Silkens love to chase so these activities offer enrichment and support their natural drive and tendencies. My name is Caleb Wyatt. I am a momma’s boy but I am very affectionate, good natured and friendly. I love to practice agility and mom is teaching me rally sport too! I am hoping one day that I can work towards becoming a disaster relief dog. But, today I am here to put a smile on your face and bring you lots of love, joy and comfort. Enthusiastic is the word that best describes Cheka. She enjoys walks, car rides, the park and the beach. She even watches TV, especially if it is an animal show. Cheka is a surprisingly fast runner and she like to run circles around the bigger dogs in the neighborhood. Cheka loves people and being the center of attention. Her name means laughter in Swahili and with her combination of looks and personality Cheka brings laughter into the lives of many. My name is Callie and I was born to do therapy work! I love everyone I meet. 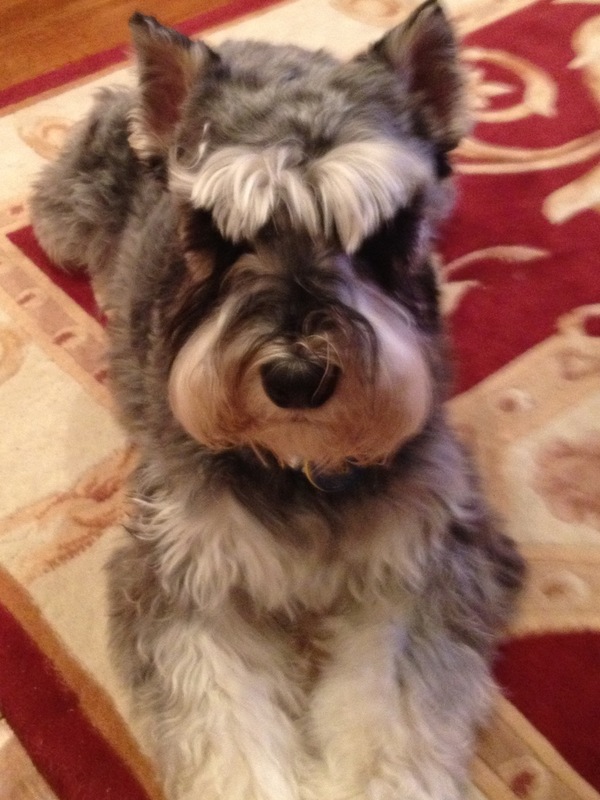 When I was a small puppy in puppy kindergarten, my teacher said that one day I would be a wonderful therapy dog. She was right! I have been doing therapy work since 2001 and I enjoy every minute of it. I like to visit people in hospitals and nursing homes. I also like going to schools and libraries to listen to children read. People say that I am very special and I bring lots of smiles wherever I go. When I’m not doing my therapy work, I enjoy walks in the park, performing tricks, flyball, dancing, and treats, treats, treats! 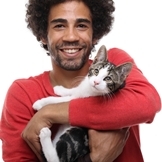 Do you think your veterinarian is the best? The American Veterinary Medical Foundation is looking for nominees for its “America’s Favorite Veterinarian Contest.” Clients are encouraged to nominate their veterinarians through the AVMF Facebook page, where they can submit photos and a short story—250 words or less—on why their veterinarian deserves to be America’s favorite. The winner will be announced July 21 during the AVMA Annual Convention in Chicago. The winning veterinarian will receive a named donation and the nominating client will receive a $250 cash prize. Both will receive a free night’s stay in Chicago, plus travel expenses for those outside the area. The veterinarian will also receive complimentary registration to the convention. The contest is open through June 1. Oneonta, NY — The state senate has passed a bill co-sponsored by Senator James Seward that would toughen punishment for people who kill or injure police animals. The bill increases the penalty for killing or injuring a police animal from a misdemeanor to a felony. The legislation now goes to the state assembly for consideration. There has been renewed interest in the bill following the shooting death of FBI police dog Ape during a raid on a barricaded gunman blamed for the deaths of four people in Herkimer County earlier this month, said Seward, R-Oneonta. Gunman Kurt Myers is believed to have killed four people the morning of March 13 before holing up in an abandoned building in the village of Herkimer. After a lengthy standoff — in which a police robot was unable to locate Myers — Ape accompanied officers into the building. Myers shot and killed Ape while firing at the group. Officers returned fire and killed Myers. Ape was mortally wounded and died after last-minute attempts at rescue by a veterinarian at the scene. “There is one detail that is clear – we owe a great debt of gratitude to the police and others who responded to the multiple scenes, put their lives on the line, and sacrificed to protect us all and that includes K-9 officer Ape,” Seward concluded. Ape, who was wearing a bulletproof vest, received a memorial service and burial near the FBI training center in Quantico, Va. 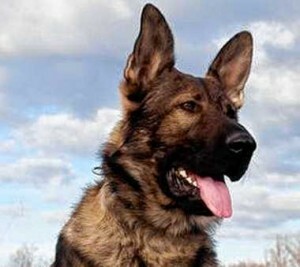 The Czech German Shepard had been on duty less than a month. I COULDN’T begin to add up the number of times my husband and I have had the Talk. We know illness and death are two of life’s certainties. And we’ve taken care of the issue when it comes to ourselves. We’ve signed medical directives saying we want no extraordinary measures taken to extend our lives if we become incapacitated to the point that we’re a burden, emotionally and financially, to our families. But when it comes to our pets, the Talk never resolves anything. Luckily our two 14-year-old cats, 8-year-old Border collie and 3-year-old Labrador retriever are all in fairly good health. We haven’t had to make decisions about whether to spend thousands of dollars, possibly tens of thousands, to save or extend their lives. But those decisions are coming, and despite our efforts to have the Talk, we have no idea what we’ll be willing to do to keep them around as long as possible. Pet owners, who represent 68 percent of United States households, spent a collective $53 billion on pets last year, according to the American Pet Products Association. That’s for everything from medicines and operations to toys and food. 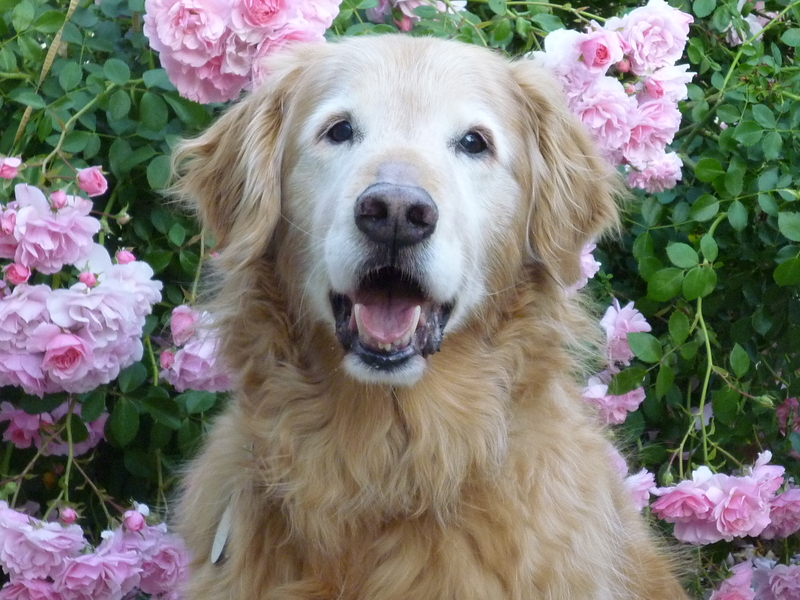 No one has a figure for how much people spend on end-of-life care for their pets. But it’s safe to assume that the number mirrors ours; for humans, 90 percent of medical spending occurs in the last 10 percent of life. The choices involved in keeping pets alive can be as numerous, expensive and emotionally thorny as they are with people. Lisa Sobieri of Greenwich, Conn., knows the choices all too well. The 49-year-old married mother of two lost two dogs to kidney disease in the last three years. The first, Kiefer, an American Eskimo, died just before turning 15, only after the family had spent several thousand dollars on chemotherapy for bladder cancer and then other drugs to keep him comfortable as his kidneys failed. After Kiefer died, the family got Perry, a 6-month-old golden retriever. 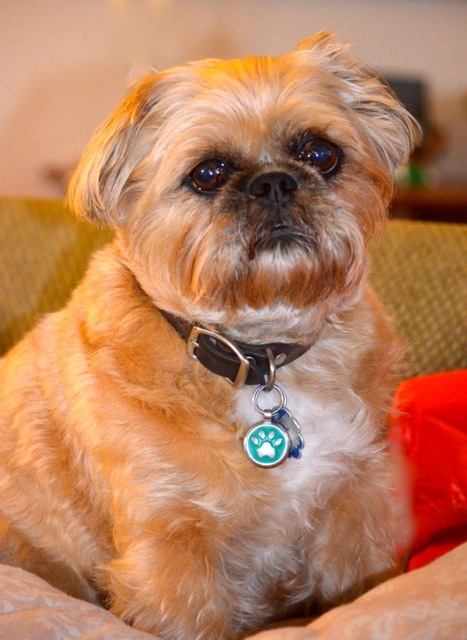 When Ms. Sobieri took the dog to the vet to have him neutered, a routine blood test showed Perry had a genetic kidney disease. “I actually didn’t believe them,” she recalled. 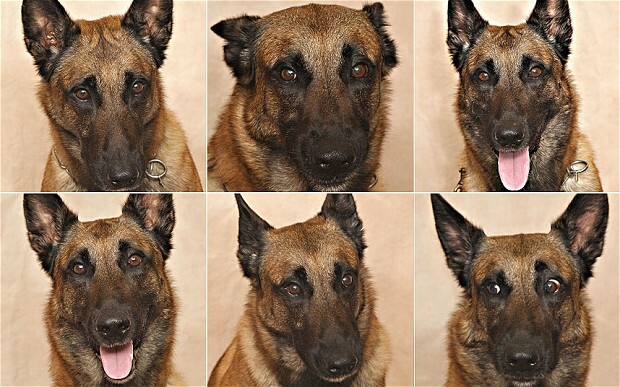 “I said, ‘No, you’re looking at my other dog’s file by mistake.’ ” Unfortunately, they weren’t. 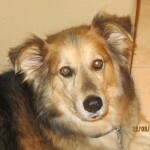 The vet sent Ms. Sobieri to a veterinary oncologist who said Perry probably would not live more than three years. 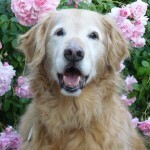 “I was thinking, Well, we’re such great dog owners that we’re going to defy that, give him all the medications and diet, experimental treatments, and he’s going to live longer,” Ms. Sobieri said. The family decided against a kidney transplant, which would have cost a minimum of $25,000 just for the operation, an amount she said would have taken money away from the children’s college fund. There was also no guarantee it would work. But they still spent, by Ms. Sobieri’s estimates, tens of thousands of dollars to keep Perry comfortable for the duration of his life, with pet insurance picking up the rest. Many pet owners struggle with whether to buy pet insurance, because it has a mixed track record. Consumer Reports, in its August 2011 issue, said the insurance was “rarely worth the price.” Pre-existing conditions are usually excluded from coverage; routine care, like annual checkups, is sometimes not included in plans; and premiums can rise significantly as the pet ages. The puppy lived only an additional 18 months. And Ms. Sobieri said she now wondered if the money would have been better spent as a contribution to research to find a cure for the disease, even though they cherished the extra year and a half they had with Perry. A study has gained new insight into domestic dogs’ fear responses to noises. The behavioural response by dogs to noises can be extreme in nature, distressing for owners and a welfare issue for dogs. The research by academics from the School of Veterinary Sciences at the University of Bristol, and funded by the RSPCA, is published in Applied Animal Behaviour Science. The study provides an important insight into dogs’ fear of noises, and could improve our understanding of behavioural signs of fear or anxiety. In the study two approaches were taken to investigate the occurrence of, and risk factors for, these behaviours: a postal survey of dog owners to investigate general demographic factors and a structured interview of a sub-set of owners to gather more detailed information. This suggests that whilst they are aware of their pet’s behavioural response when exposed to a loud noise, owners do not necessarily recognise this as being indicative of fear or anxiety. This has relevance both for awareness of compromised welfare, and the methodology for surveying such behaviour. The most commonly reported behavioural signs were vocalising, trembling/shaking, hiding, vocalising and seeking people. It is thought trembling and shaking are more often reported by owners than other behaviours because they are similar to fearful behaviours in humans. Other behavioural signs, such as decreased activity or salivation, may not be as easily recognised by owners as signs of fear, and may be under-reported. Also, signs of urination, salivation and destruction may make owners disappointed or angry, and this may influence their interpretation that such behaviours are associated with fearfulness. Responses to fireworks were the most common, but fear responses to loud noises such as fireworks, gunshots and thunder appear to commonly co-occur, suggesting generalisation between salient stimuli. The risk factors for owner-reported fear of noises included breed, although 12 breeds or breed types were less likely to show fear responses to noises than cross-breeds, including popular gundog breeds such as the Labrador, Cocker Spaniel and Springer Spaniel; age, where risk increased with age; and origin, where dogs living with the owner who bred them had a reduced risk compared to dogs purchased from the breeder by a second owner, supporting the view that an early environment that is very similar to the environment experienced in adulthood is advantageous. The researchers suggest a dog’s early life experience is an important factor in the development of fear responses to specific loud noises. Disappointingly, less than a third of owners currently seek professional advice about treatment for their pet’s fear. The researchers recommend there is a need for veterinary surgeons to increase awareness among the general dog owning public that treatment is both available and effective in dealing with fears of loud noises, and to direct them towards appropriate sources of help. 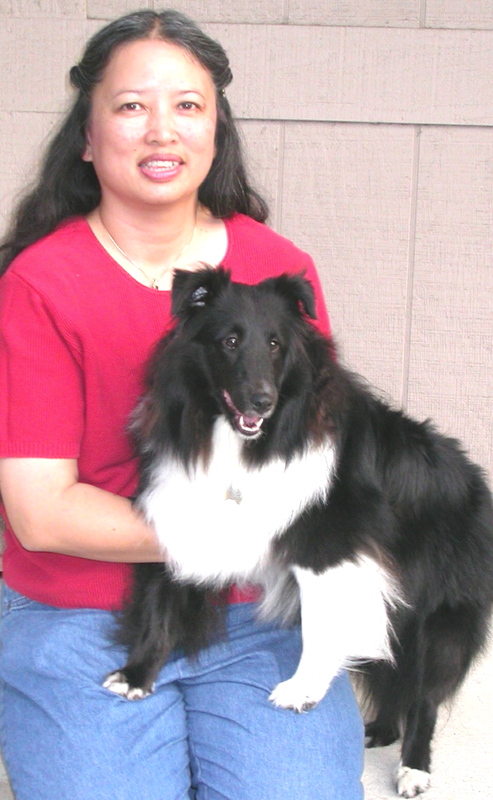 Roxey (a Shetland Sheepdog) and her handler, Sandy assist a speech therapist with her autistic clients once a month. The boy is pre-school age and just started regular classes at a regular pre-school. Sandy has been working with them for about a year. The mother of the boy is in the session the whole time taking notes while the therapist works on vocabulary and sentence structure. They often try to pick vocabulary words that Roxey can illustrate. One word he was having particular problems with was “sausage.” So Sandy took sausage “looking” treats for the boy to feed Roxey. If he said the word correctly, he got to toss the treat to Roxey. We’ve also been working on conjugating verbs, so we go through actions like “Roxey is sitting,” and “Roxey sat.” Sometimes his vocabulary words include things Roxey can wear: sunglasses, hat, feathers, etc. For Halloween, “ghost” was a word for the boy, so Roxey came dressed as a ghost. Another time, “basket” was a word, so Sandy strapped a basket onto Roxey’s back, and the boy put other vocabulary word items into her basket. Roxey especially loves sessions when there are food vocabulary words because she often gets to eat. Sandy and Roxey have just started working with a little girl who loves animals, so Roxey is there to motivate her. Most of our first session was Roxey being a model for the opposite of the word being taught (over/under, front/back), body parts (leg, ear, nose), and feeding treats to when she got something right. The girl was being taught to greet people, so Roxey would wave to her and she would say “hello” to Roxey.